Bored of same old look of your Nokia device, then this will Spice up your Device. A Cool new theme for Nokia s60v5 devices and Nokia Symbian^3 devices. 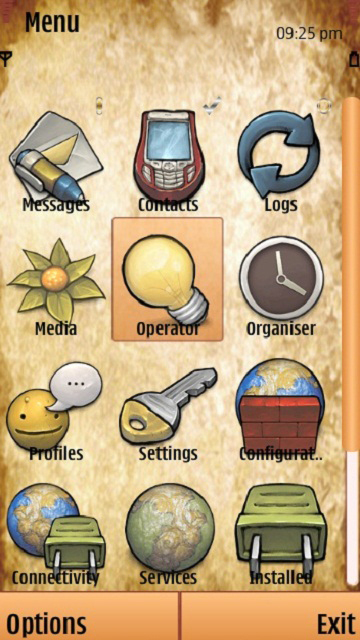 Download the SIS theme from the link below and then Install it to your Symbian Device. 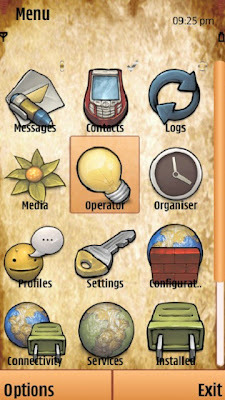 For More Symbian and Nokia themes Click Here. Supported devices: Nokia 5230, 5233, 5800, 5235, N8, C7, X6, X7 and all Devices with Symbian s60v5 and Symbian^3.